Multi-Port Adapte is able to USB C Power Delivery. 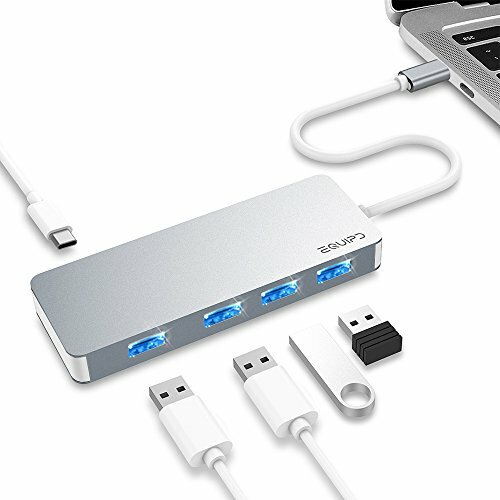 This enables full-speed MacBook recharging while simultaneously connected to HDMI Port, SD, microSD card and other USB devices such as digital cameras, cellphones, external hard drives, flash drives and printers. With a slim, strip-shape design, it saves you precious desktop space. It's extremely portable and easy to move between systems or take on the road. Cannot read hard drive over 4TB ! Not compatible with SuperDrive ! Cannot read hard drive which not bring the Power Source ! Some very backward equipment is not compatible!